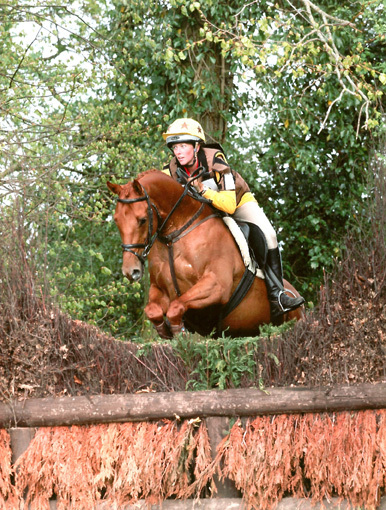 Following a national search to find a brand ambassador for Stable Shield and its range of anti-bacterial paints, Naomi Round has been crowned the lucky winner. The sponsorship bundle on offer included Stable Shield Antibacterial Paint for two stables, £100 to help cover entry fees, a branded jacket, baseball cap, polo-shirt and two saddle pads. 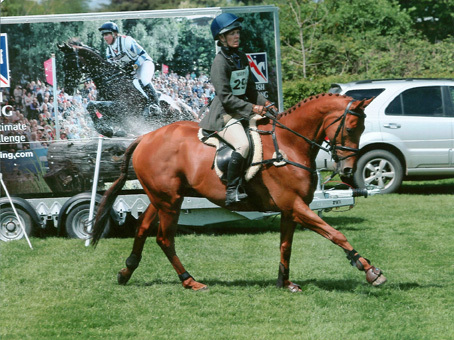 Naomi from St. Teath in Cornwall has owned her horse Jerry, an ex-racehorse for just over two years, with the pair competing in unaffiliated dressage, and One Day Events including the Riding Club Championships. 31-year-old Naomi currently works as a supply teacher which gives her the flexibility she needs in order to fulfil her riding ambitions. She has previously kept her horse’s on the yard of top event rider Paul Tapner, benefiting from his wealth of knowledge. Naomi describes Jerry as, ‘the most honest, genuine, loveable and cuddly horse you’ll ever meet’ but unfortunately he suffers from allergies that affect his breathing, resulting in reduced exercise intolerance when he is at his worst, and he has even become allergic to his own sweat. To help with Jerry’s condition, Naomi’s Dad is currently in the process of building a new stable block designed with Jerry’s allergies in mind, which will now be able to be finished off with Stable Shield Anti-Bacterial paint, thanks to her new sponsorship. 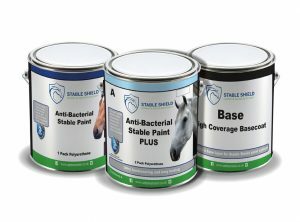 Stable Shield Antibacterial Paint is a water-based non-toxic paint that can be applied to stables to create a fully disinfected yard. The paint prevents the growth of bacteria by up to 99.8% on all applied surfaces. This in turn creates a clean environment which is crucial to help horses with their respiratory system and overall wellbeing. Naomi expressed her excitement at winning the competition: “I am completely over-whelmed; things like this don’t happen to a girl from Cornwall. A very close friend died a year ago and his life quote was ‘stop thinking, start living’, so since losing him I have thrown myself into everything.